Working hard without results? Wondering why some agents are successful? Has your business plateaued? Then you have come to the right place! Our tools for successful real estate are designed to help you build the business you want with your individual strengths and to create solutions for your business weaknesses. We take into account your personality, your market, your commission and even your "time off" goals. We combine these things with tried-and-true tools and strategies that our coaching clients and we have been using to find success with for over 20 years - no matter the real estate market. Learn if you are a "promoter", "supporter", "analytical", or "controller" through our Personality Analysis, and how that relates to everything you do from interacting with people, making decisions, conducting business, organization, how you manage your time and more. Watch Denise Lones explain how learning about personalities and their makeup changed her business forever. Learn your additional strengths and weaknesses of 30 different areas of your business through our Business Analysis. 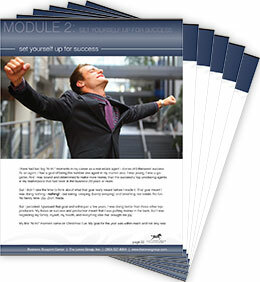 Learn tips for overcoming some of those weaknesses through our custom Business Analysis results. 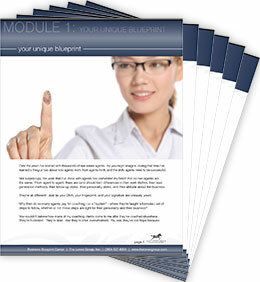 Receive a consultation with one of our Business Blueprint specialists who will help develop your custom business blueprint for ongoing success. Learn how creating a task plan is the key in following through with your plans. Learn if you are a "doer", "shifter", or "floater", and how you should adjust your task expectations based on this information. Learn about the Hour of Power and how just sixty minutes per workday can change your business... and your life! Watch how Denise incorporated the Hour of Power into her own business - and how she manages to fit it into her very busy day. Learn what the Dinosaur Book is, how it can help you get more organized than you ever thought you could be, how to create your own, and how to use it. Watch Denise show you how she uses her Dinosaur Book. Learn tips for staying on track. "Many thanks to you, Denise and the rest of the group for positioning me for such great success." Determine your goal number of people you should have in that database base to build your referral-based business. Watch how Denise took a system for selling teddy bears and created her 36 Point System for follow-up which yielded her hundreds of thousands of commission dollars. Learn Denise's top 10 tools for five-star follow-up, including some great ideas for you techies! Learn about Denise's two all-time favorite ways to stay top-of-mind with clients. Her phone would ring with future business opportunities every time I did these! Create a 12-month follow-up plan as part of your custom success plan that takes into account your custom strengths and challenges. "[Denise] told me what I had to do, what I should be doing. Here's step one, step two, step three. And now, I'm an efficient machine. It's amazing!" 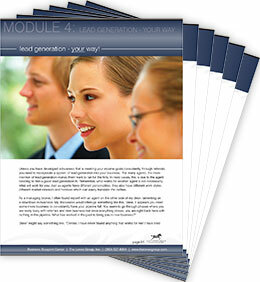 Module 4: Lead Generation, Your Way! Find the perfect lead generation fit for your personality and your strengths and challenges. Watch Denise discuss how she developed two lead generation systems that were just right for her personality, strengths and weaknesses and how you can take a lead generation method that is hot in your market and tweak it to better match your personality and business model. Using the Lead Generation Guides, develop a specific lead generation plan along with periodic goals and review points. We'll show you how to choose your target market, how frequently you should market, what marketing tools to use and how to execute your plan. Begin generating quality leads to fill your pipeline! Learn about the most neglected client in your database and how changing your focus can result in more commission dollars in your pocket. Determine who should be "on your radar" and how much commission could be yours with a focus on conversion. Learn how to evaluate your lost opportunities and turn them into commission dollars. 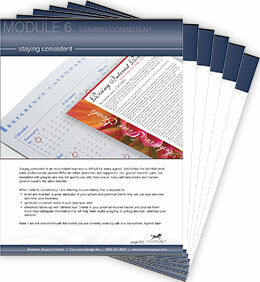 Create an easy-to-follow conversion communication plan. 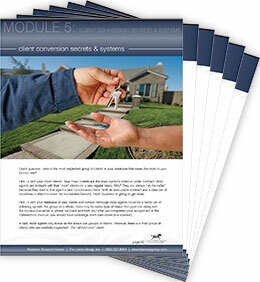 Watch Denise share her six steps to client conversion success. 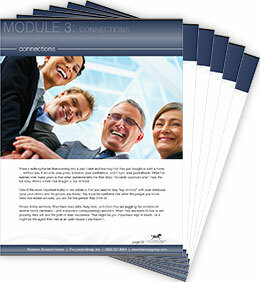 Learn about the different personalities of your potential clients and how to effectively communicate with each of them. "I made my [Potential Income Tracker] list at Safari and contacted everyone on that list. As a result, I have three active buyers that I probably wouldn't have had if I hadn't been in touch." Learn about the Comfort, Stress, and Pain/Pressure /Pleasure Zones and how to effect change. Learn why having a work-life balance is crucial for maintaining consistency. Discover - or rediscover - the things you enjoy in your life! Determine a schedule or way of working that truly works for how you want to live your life. Make sure you have all your one-time and ongoing tasks accounted for to set yourself up for success. Growing your business is more than just reading and doing! Our online classroom includes training videos, audio guides and tools you can use in your business right away. Think about how you operate differently after taking our Personality Assessment. Are you a promoter, controller, supporter, or analytical? Each has their own strengths and weaknesses. Learn how to make your personality work for you. 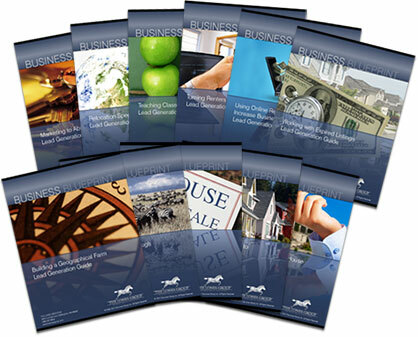 Our Business Analysis features 450+ questions covering 30 different areas of your business. After you complete your analysis, you will receive a score and prescription per section for improvement. Lead generation, client care, presentations, research, and technology are just a few of the sections we cover in our analysis. A one-on-one call with one of our Business Blueprint specialists who will go over your Personality and Business Analysis results and help you understand what to do with them. Access our online education center with the thousands of additional resources to help you with your business. Covering everything from expired listings to teaching classes and specializing in relocation. Includes both outlines for implementation and additional resources. Delivered through Club Zebra PRO, this interactive tool is designed to help you create a marketing plan that will put you on track to realize your income goals and business success. Earn referrals - don't ask for them by utilizing the power of the Master Follow-Up Plan. Delivered through Club Zebra PRO. Many agents are unaware of the potential income that can be theirs if they just keep it "on their radar." This may be the result of homes that have sat on the market too long, but it can just as easily be the result of the agent cutting their commission, poor matching of home price to the demands of the market, or a pattern of client mismanagement. This interactive online tool is helps you identify your unrealized commission potential - and keeping it top of mind! Delivered through Club Zebra PRO. Accountability is often the bridge between success and failure. People in every field perform at their highest levels by being accountable to someone - whether it's a coach, shareholders or a supervisor. This tool helps you stay accountable to your lead generation, marketing, follow-up and quality-of-life goals. Delivered through Club Zebra PRO. 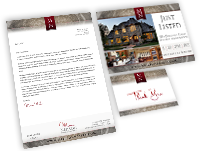 Every month our Pro Club Zebra members receive new content, exclusively by The Lones Group, which you can share with your clients as though you wrote it. All content is designed to help keep you top-of-mind with both prospects and your past clients. Delivered through Club Zebra PRO. Every month our Club Zebra Pro members, which will include you, are invited to a group coaching call with Denise Lones. Every call is on a timely industry topic or strategy for growing your business, followed by an open questions/answer period. "One of the things that I'm learning from Denise's program is to get your things done. That will allow you to grow your business in a way that you treat it like a business, instead of something that you're just doing. Otherwise, it's like the mouse on the wheel, you're always running around. You have to get off the wheel!" Start Changing Your Business Today! 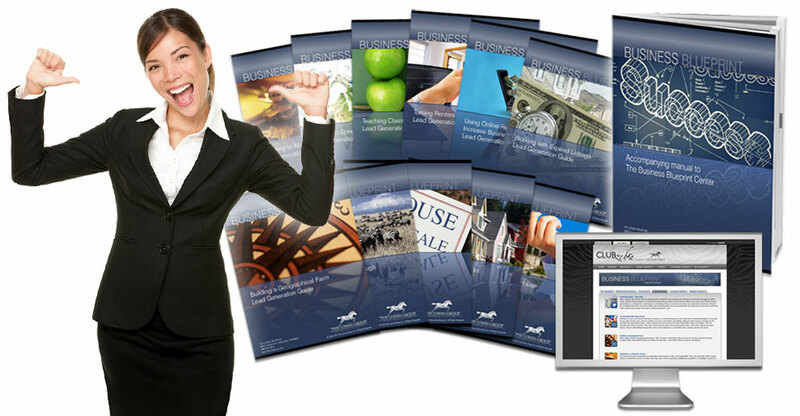 Whether you're a real estate agent new to the industry and want to build your business or a seasoned veteran real estate agent, let us help you maximize your success with our Business Blueprint Center!